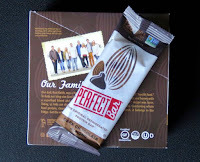 Today's Dark Chocolate Almond bar from Perfect Bar, LLC (San Diego, CA) was one of the best, most satisfying protein bars we've tasted in years. "The original refrigerated protein bar" was developed in Southern California and the company is run by members of the inventor's family. The bar contained almond butter, organic honey, milk powder, dark chocolate, organic vegetable oils, fruit and vegetable powders, and other ingredients. 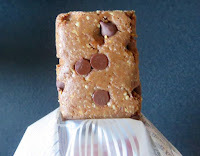 This bar was great for breakfast, and/or as a snack or meal replacement if you're on the go. 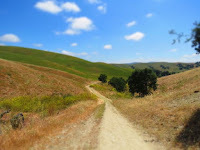 It helped power two hikes this weekend.